Fancy a little New Year trick to make your morning coffee taste like a fancy latte straight from your favourite café? The secret is in cashews. Yup! 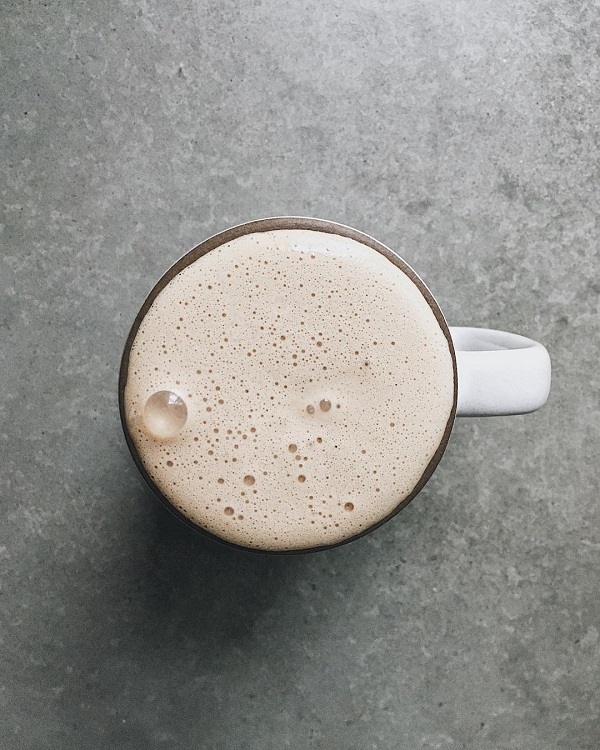 Here is how to make it happen: simply blend a handful of raw cashews in a blender with your hot coffee and a tiny sploosh of maple syrup and blend until smooth and frothy. That is all! My Balazs has been drinking his coffee exactly like that for the past week or so, and if you ask him, he would tell you that it's a revelation! P.S: Fancy more coffee goodness? That looks and sounds so healthy! I'll definitely try it if I have cashews in the pantry. OMG,this is fantastic! Do you think it'd work with almonds? ?